Earn up to 4,296 reward points. 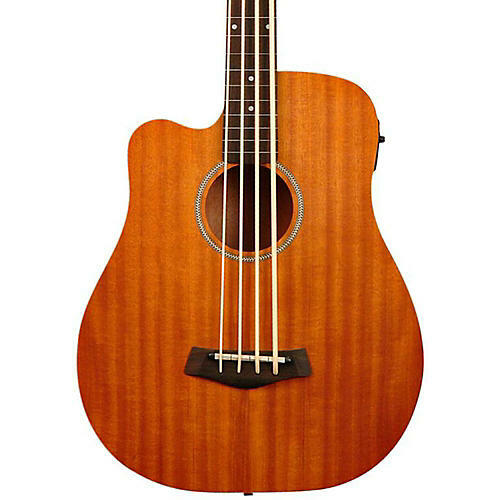 The MicroBass25FL/L, or M-Bass25FL/L, is a 25" short-scaled acoustic/electric bass guitar that utilizes a dedicated synthetic string and a piezo transducer pickup. The extended scale length greatly improves intonation over similar models and allows for an acoustic volume loud enough to enjoy without plugging into an amplifier. The sloped ergo-glide top makes this instrument extremely comfortable to hold.